Product prices and availability are accurate as of 2019-02-02 20:44:13 UTC and are subject to change. Any price and availability information displayed on http://www.amazon.com/ at the time of purchase will apply to the purchase of this product. This 10" fry pan features rolled edges for easy, spill-free pouring. The cookware is safe for induction, gas, electric and ceramic ranges. 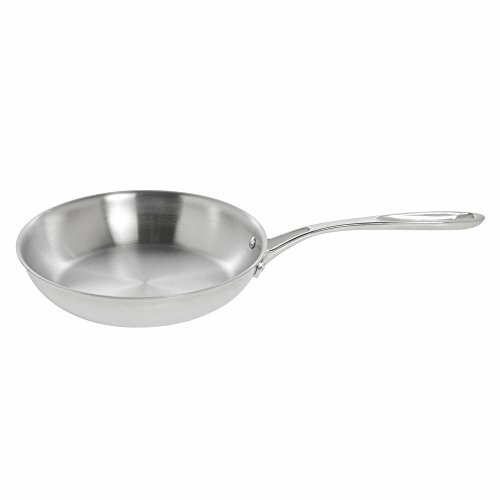 The fry pan is made with 21/0 stainless steel, aluminum and copper for exceptional heat conduction and corrosion resistance. Plus, the ergonomically shaped handle will reduce fatigue and stress for comfort during continuous use. The fry pan offers professional results and lasting durability for a fraction of what you pay for name brand pans.